Coworking Spaces are usually deemed as merely a shared office space however it is so much more than that. Gathering communities of different associations is what shapes and functions a coworking space, especially at Co-labs Coworking, Malaysia. Take International Women’s Day for example, we honoured our amazing community of women here at Co-labs in a special and fun manner. LabFemme Contest Winner Charmaine and Nizwani Shahar, Managing Partner at Ogilvy Malaysia. On March 8th, our space at The Starling was decked out in fuschia, from our IWD corner to our members of the Labfam, our social media posts and much more. 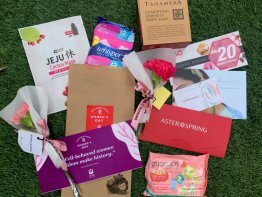 Just after lunch, we surprised our female members with specially-curated care packs containing face masks, soap, vouchers, etc. Big thanks to our sponsors: Tanamera, Boxing Blooms, Sasa, Beadadari & Aster Spring. We also had all our members dress in fuschia to join in the celebration. Leading up to this event, we showcased 6 strong and inspiring ladies based at Co-labs Coworking to share their stories. Interviewees were Nizwani Shahar - Managing Partner at Ogilvy, Vanessa Tho - Sales Director at Corvan, Shareen Rai - Personal Assistant at Ogilvy, Nadia Ismadi - Founder of Pod, Amelia Hong - Founder of FinAims, Pennie - Full-time Masters students. The video interviews can be found on our Instagram Page here. 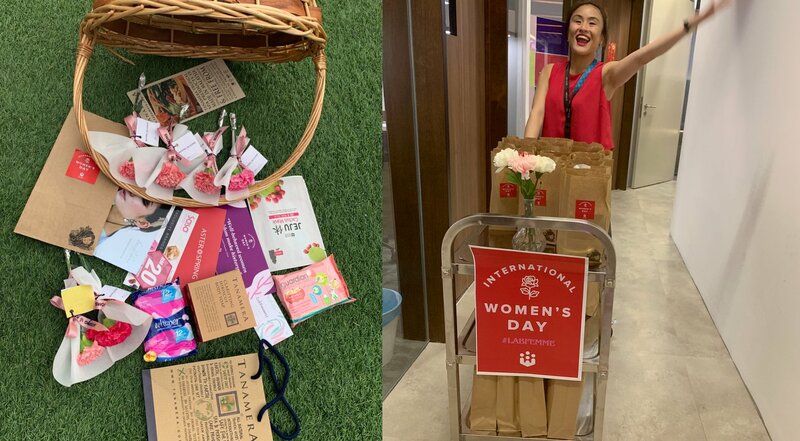 Our Head of Marketing, Ann Khoo leading the International Women's Day 2019 care pack giveaway. We allocated a corner at our Starling coworking space to display an International Women’s Day Corner, designed by our team. To pay homage to the women that inspire us, the wall was aesthetically decorated with the world’s favourite females such as Michelle Obama, Yasmin Ahmad, Oprah Winfrey, etc. in between were inspirational quotes that were designed in a pink thematic display. 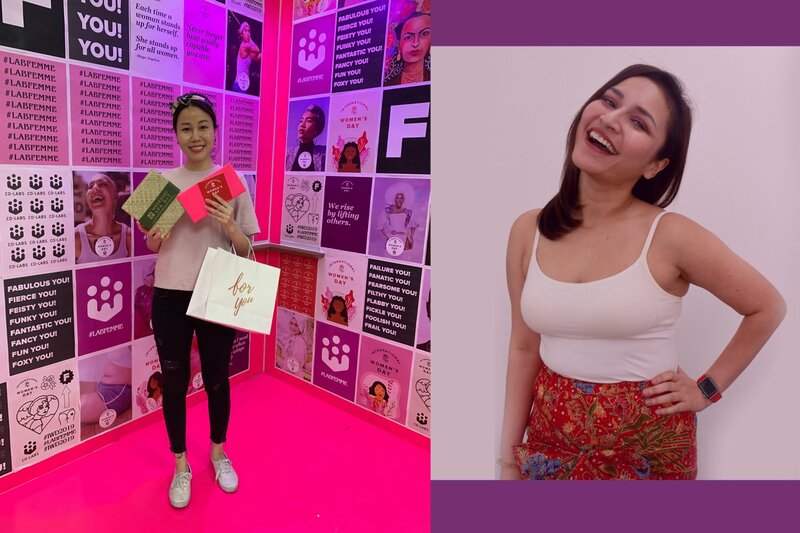 To increase digital reach, a contest for our followers was created online with the hashtag #LabFemme, where a gift bundle worth RM1,574 was up for grabs. The prizes include a fitness class powered by Lululemon Malaysia, Embassy food voucher, Beadadari Necklace, Bubblegum IPL, Tanamera Spa Kit, Empires Massage Voucher.